JOIN US for the live drawing as FOUR lucky graduates will win $250 gift card. 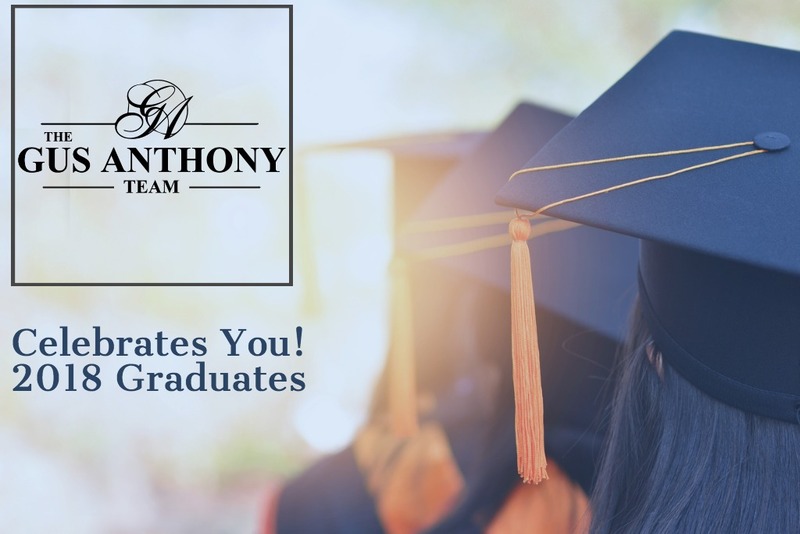 TO ENTER – PARENTS, GRANDPARENTS, AUNTS, UNCLES, BROTHERS, and SISTERS need to post on The Gus Anthony page and tell us about your special high school or college graduate with the hashtag #TGATgrad. Then JOIN our LIVE DRAWING on June 6, 2018 at 2:00 pm. Deadline to enter is Tuesday, June 5 by 5:00 p.m. EST. NOTE: The Grad can get more entries by commenting, posting, and photos on any of our social media platforms. Entries should originate from a client. 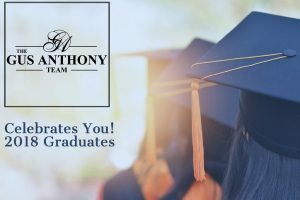 Join us as The Gus Anthony Team choose four lucky graduates. If selected, we will contact you via Facebook and mail your $250 gift card. Please contact us at denise@gusanthony.com or (703) 818-1886 if you have any questions.